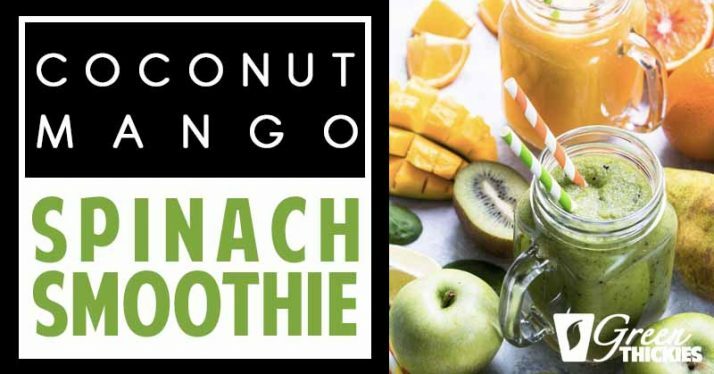 This Coconut Mango Spinach Smoothie can also be easily turned into a complete meal replacement if you include the optional extra healthy fillers such as oats. You can also easily convert this smoothie into a protein shake by including the optional natural plant based protein such as nuts or seeds. I actually came across Amber’s blog a long time ago while searching for a good homemade chocolate recipe. 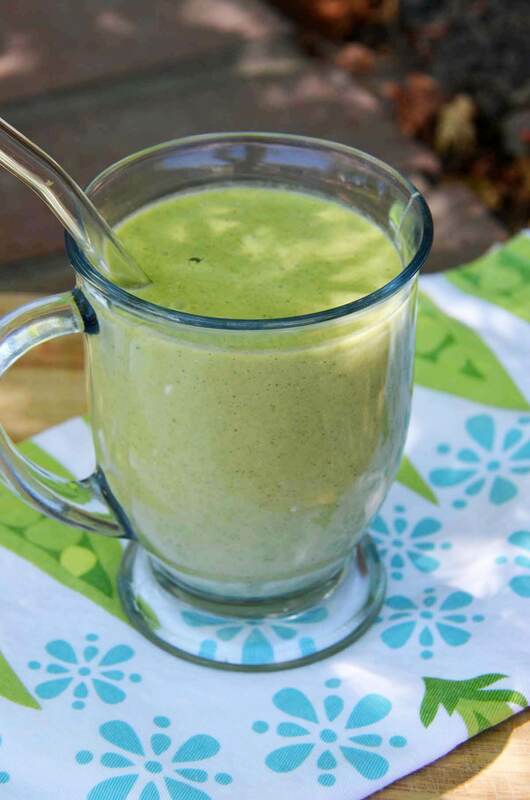 So I was very pleased when she shared this gorgeous green smoothie recipe with me to share with you today. Hello. My name is Amber and I run the alternative foods blog, The Tasty Alternative. The Tasty Alternative features dairy free, gluten free, cane-sugar free, soy free, and peanut free cuisine with an emphasis on The Specific Carbohydrate Diet (SCD) and Paleo recipes. I’m so excited to be guest posting while Katherine enjoys her new precious baby boy. He is such a doll!! Congratulations to the family. A green smoothie was definitely in order here for a guest post. 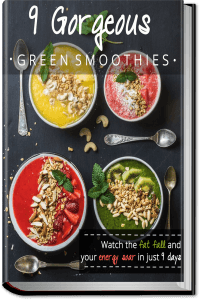 Green Thickies is such an amazing resource for those of us looking to incorporate more smoothies and health into our diets. So thank you, Katherine, for your wonderful site. 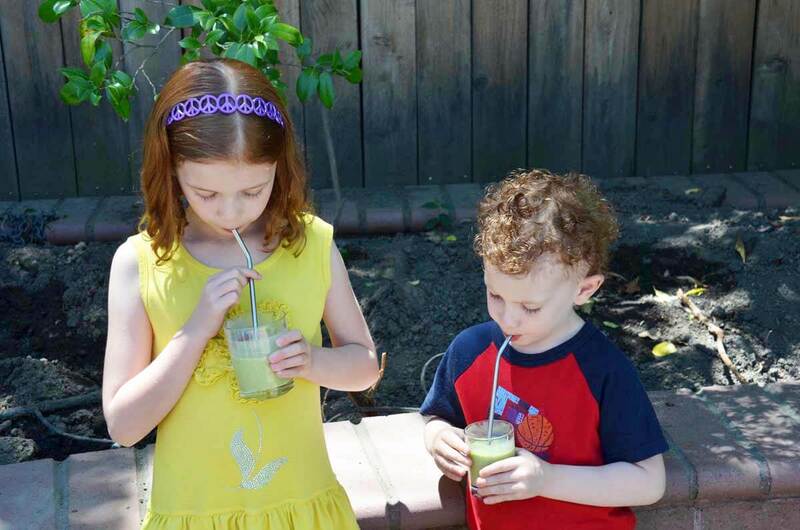 Today I am sharing a green smoothie that is KID approved. I always test out green smoothies on my kiddos, because if they like them, well, then that’s a successful recipe in my opinion. My daughter told me it tasted like a milkshake, so yeah! I hope you enjoy this recipe too. 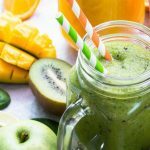 Before we get started you might be interested in reading my post on how to make smoothies without using wasteful plastic bagged frozen fruit. 0.8 ounces of fresh organic spinach (about 1 1/2 cups) OR if you run out of fresh greens, add 2 scoops of Amazing Green Powder for an extra healthy green boost. Add the above ingredients to a blender and blend until well incorporated. Freeze mango at least 2 hours. 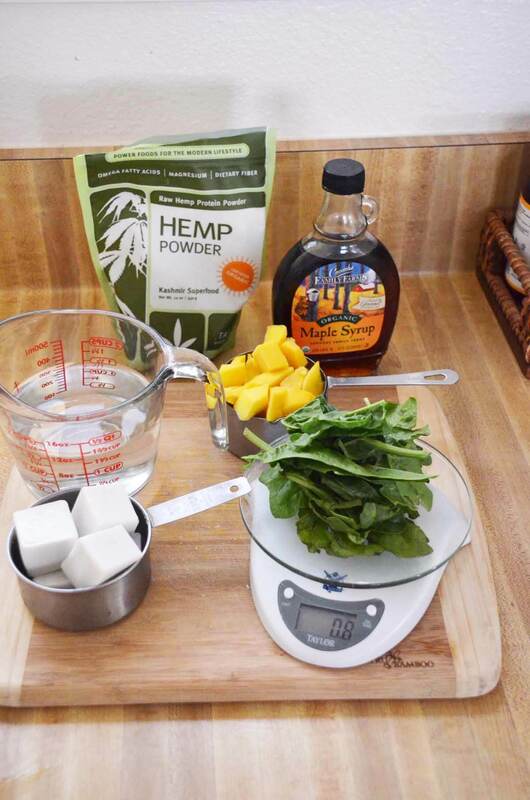 There are a number of ways to make this smoothie. If you don’t have the time to freeze the coconut milk and the mango, you can just use ice (about 2 cups), 1 cup coconut milk and 1 cup fresh mango. And you can add in your favorite protein powder. I happen to love hemp. Don’t like maple syrup? A few drops of stevia would work great, as would honey or coconut nectar. 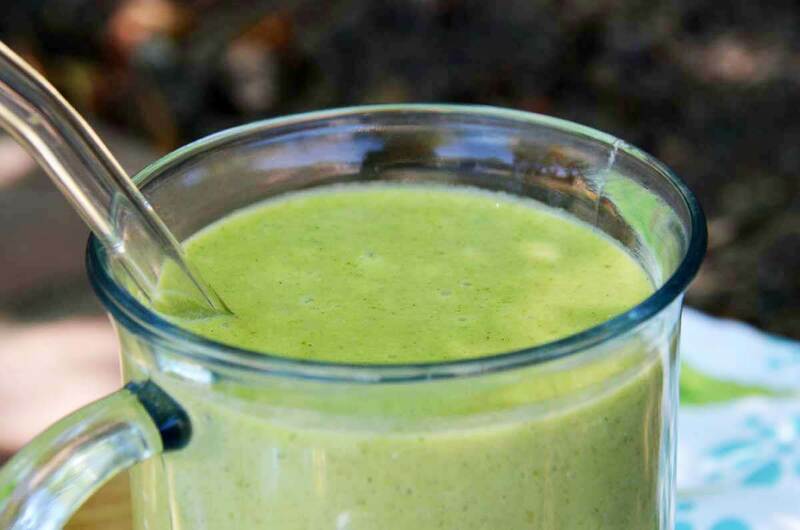 Get the entire collection of 23 BEST Green Smoothie Recipes For Detox & Beauty. Thanks for the guest post opportunity, Katherine! Thank you so much for this great post. I really appreciate it. Amber, this sounds so delicious! I’ve been working on a mango smoothie lately too. I love how you use coconut ice cubes! Brilliant!! Thanks Heather! Love the coconut ice cubes too. Great to mix in with water and fresh fruit. It really makes it creamy! I had a smoothie this morning with avocado, those avocados REALLY add to the creaminess factor.